After a couple of calls to discuss the different lock options, I decided to go with the EXxtreme safe and electronic lock. Great choice. 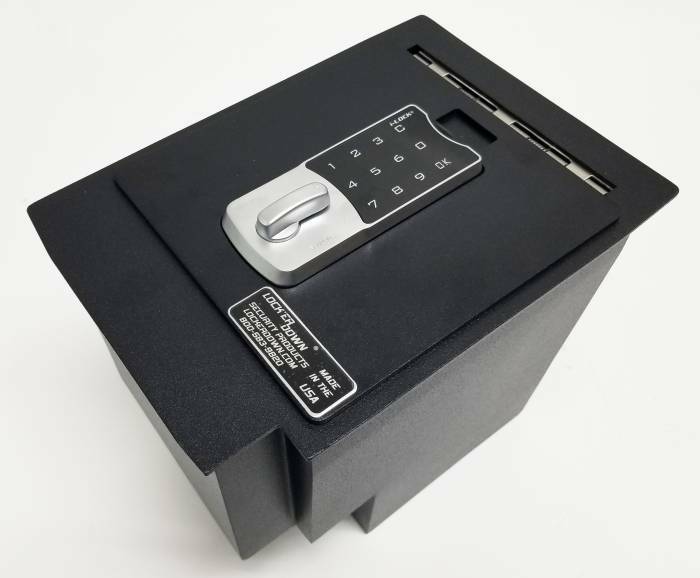 The heavy duty plate covers up the lid gaps, adding an extra thick layer of security. I like that I can leave the lock partway latched between open and locked, so the contents are easily accessible without entering your code, or a quick turn and totally secured. But what floored me was the fit. Drop right in, two bolts and done perfect fit. It looks like it came from Toyota that way. I had to remove the kleenex box holder to fit the electronic lock, but an email to, and response received on a weekend gave me the info I needed to install it. Great customer service.